It’s not as easy as before to change background in nautilus window since gnome 2.91 development in the fall of 2010. 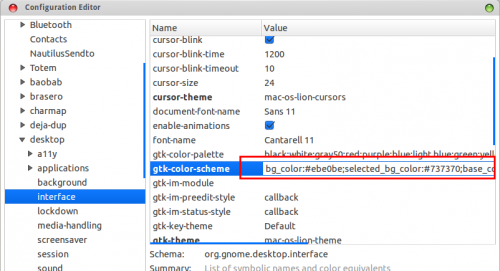 However, we can change the background color by setting the value of gtk-color-scheme via dconf-editor. 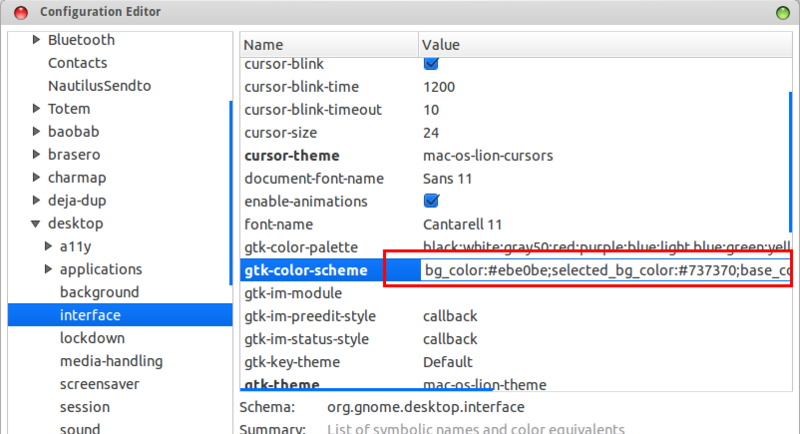 Use gimp, gpick and whatever color chooser tool to pick your color names(like #ebe0be) and replace them. To get more effects, need hacking code on “/usr/share/nautilus/nautilus.css”, “/usr/share/themes/**your-theme**/gtk-widgets.css”, read this post. 2 users responded in " Change Nautilus Background Color/Pattern in Ubuntu 12.04 "
Cool, now i can see my images in nautilus better! I have been hunting for this tool since upgrading last week and not being able to change the panel color (bg_color) or the text (fg_color) that left all buttons with a white background and light silver text.